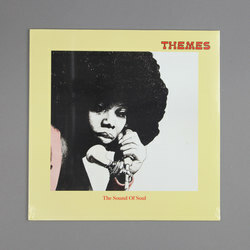 Alan Parker - The Sound of Soul LP (Themes Reissues). Vinyl LP. Bleep. Crate diggers take note - back in 1976, the KPM Themes International Library cut an LP of incidental soul entitled The Voice Of Soul. However, someone at KPM towers decided that the instrumental versions of the tracks were also worthy of release. Thus have we The Sound Of Soul. Composed largely by Alan Parker with additional tracks offered by Les Hurdle and Mike Moran, this remastered collection of funk and soul-jazz is a veritable treasure trove of samples.